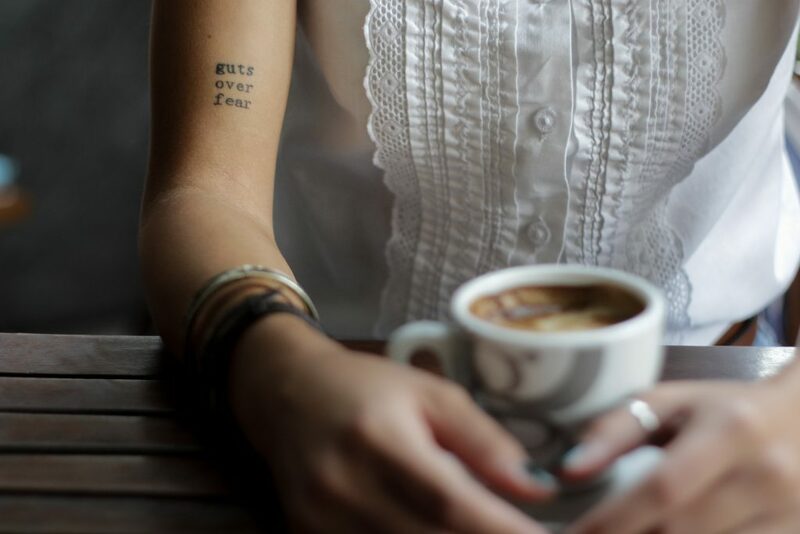 What does it mean to live your best life, and how important is that to you? 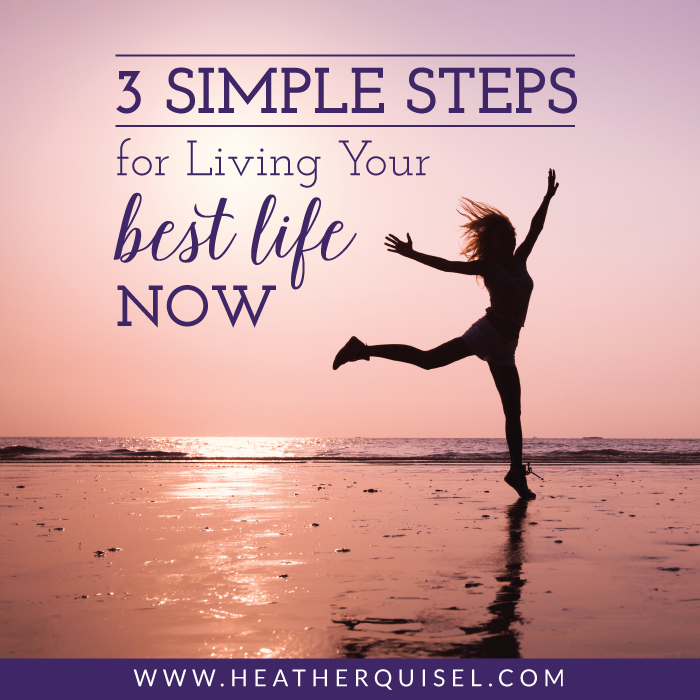 What does it take to live your best life NOW? Today? My husband just recently passed away unexpectedly, and I believe with my whole heart that he lived and we lived. . . our very best lives together. And I’ll continue to do that in this next season of my life that unfolds without him. Living your best life now isn’t complicated. In fact, it really only boils down to 3 steps. It may be as simple as 1, 2, 3, but you and I both know it’s not how simple the steps are…it’s how you carry them out with purpose and intention. The first step to living your best life now is to BELIEVE you can have, achieve, and be your best – no matter the obstacles. You truly have to believe that it’s possible. Whatever that dream is. . . that life you want to lead and the goals you want to accomplish, you must believe it’s possible. Notice I didn’t say you have to believe in yourself. No. In the beginning, when it’s totally natural to question your ability to achieve your best life and all the things you want to accomplish, you simply have to believe it’s POSSIBLE for a person – any person – to achieve what you see in your mind. That’s not often realistic, right? But if you start by acknowledging that “yes this is possible for someone and now I can become that kind of person”. . . it starts to unfold for you that much faster. How do you ingrain BELIEF in your mind of possibilities? Start by visualizing what it could look like for a person to achieve YOUR best life…the one you’re dreaming of. How would it feel? What would that entail? What makes your best life…your best life? Try writing this on paper. There’s something magical that happens when your mind imagines, your hands physically write it on paper, and your eyes see it in ink. Be intentional with this step. It’s not enough to WANT to live your best life. If it were, we’d all be living it now! It’s not enough to dream about it, either. You must now COMMIT to making it happen. It’s not enough to just want to live your best life. You must commit. If you can imagine what it would be like for a person to achieve your best life, then commit to BECOMING the person that achieves it! It’s normal to not know how the heck to do something and to not even know what steps to take next, but a commitment simply means that you’re not here to SEE if it works out, or to TRY it, but to DO IT. Commit to making it happen. Everything worth doing requires action on your part, but too often, I see people wanting to skip over this part. They want the big dreams, the best life, the healthy relationships, the OVERCOMING their heartaches and obstacles . . . but are unwilling to put in the necessary work and continued effort to get there. That’s not you, friend. And if it has been in the past, you can commit today to start operating from a new place. A committed and centered place and a person that takes consistent and persistent action every day. 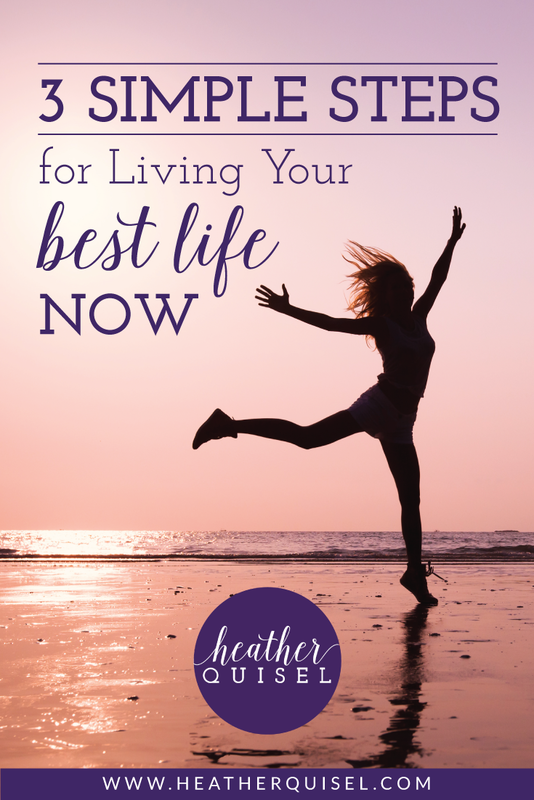 Do you want the truth to living your best life now? You must DO SOMETHING each and every day that strengthens you builds you, and grows you beyond your current boundaries. I’ll be totally honest and transparent here. On most days, the actions you take will not produce the results you want. In fact, on many days, your actions will actually result in mini failures – or at least what you perceive as failure at the time. Don’t let this derail you! Your best life requires you to fail, to learn, to try again, and grow from past experiences. Think for a moment about toddlers. When little ones transition from crawling to pulling up on furniture to walking on their own 2 feet, we EXPECT them to fall down. And they do! They fall on their behinds, they fall on their hands, they bump into coffee tables and trip on the tiniest of crumbs. But they never stop trying. We have a lot to learn from these determined little ones. Their repeated daily actions produce the skill of walking. OVER TIME. Let yourself be okay with steady action OVER TIME. Walking wasn’t a talent. It was a skill that they worked at every single day. This is a mindset SHIFT that must take place so that you’re not focused on the fear of failing, but actually on the excitement of achieving. . . with the expectation of learning along the way. Are you ready to start today? Like right now? Put these 3 simple steps on a Post-It Note and stick it to your mirror to remind you of your dreams.